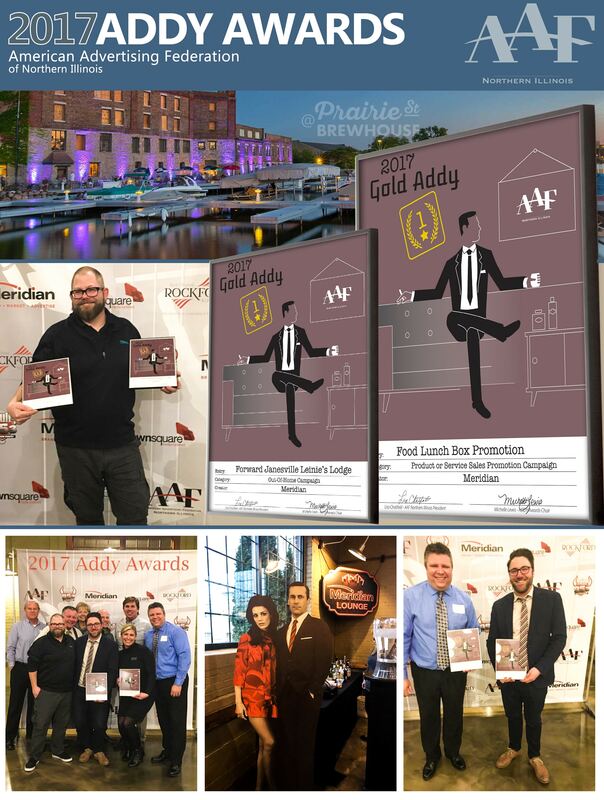 ADDY Awards 20178 | Meridian Takes Home Two Golds! We would like to thank both the American Advertising Federation Northern Illinois (AAF) and Prairie Street Brewhouse for yet another incredible event which Meridian proudly sponsored and attended. Meridian Direct also received gold in two categories! The AAF takes pride in what the advertising industry has accomplished, as well as where it is heading. Our awards celebrate the achievements of professionals from college students to advertising legends and marketing professionals. Meridian would also like to wish all Gold winners the best of luck at the regional event!